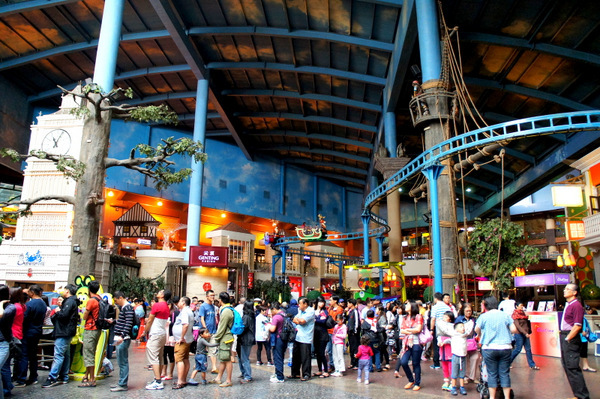 To many, Genting is often seen as the go-to holiday destination for family vacations. A massive entertainment complex, the huge compound comprises of a striking myriad of shops, outdoor and indoor theme parks, concerts, theatres, restaurants… And of course, the distinctive Genting Casino, attracting patrons game-ready to gamble on their annual bonuses- or just the average tourist betting on some spare pocket change. With a hefty RM5 billion investment to develop itself as the region’s biggest integrated resort, Resorts World Genting has recently introduced a plethora of new accommodation, entertainment and F&B offerings, alongside the highly anticipated Twentieth Century Fox World Theme Park that is set to be opened in 2016. From our recent trip to the Resorts World Genting, we round up its new features in this three-part review of the entertainment mega-hub. To complement its existing range of rooms in First World Hotel, Resorts World Genting has recently released its new Tower 2 Annex (extension to Tower 2), which will add 1,286 XYZ Deluxe Rooms to the existing hotel. At present, 412 rooms have already opened in Phase One of its RM300 million upgrading works, with the entire development process slated to boost the total number of rooms in First World Hotel to 7,351, rendering the hotel as one of the largest globally. With an emphasis on providing high quality yet affordable accommodation, the new Tower 2A boasts modern lobby designs and upgraded XYZ Deluxe Rooms that embody the functional-chic experience of the three-star hotel. Spacious corridors that usher you to the lifts back to your room, or the entertainment complex and a helpful electronic travel board in the lobby corridor informs you on the weather/temperature conditions back home. 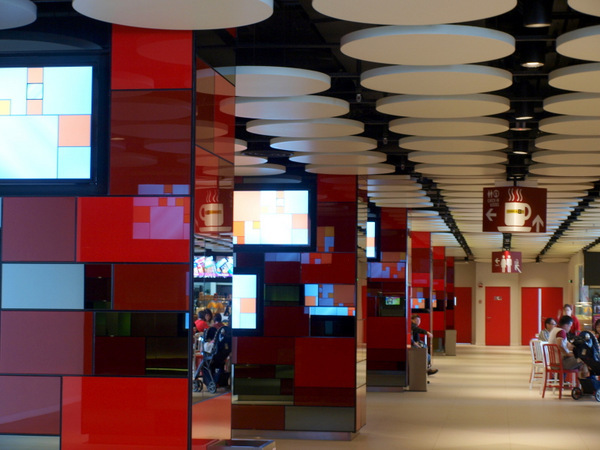 Vibrant yet modern-chic lobby designs and the Terminal 2 Café (open: 7.30am – 12mn) – P.S. We hear that the café offers complimentary wifi too, so you can update your friends on social media about your trip in Genting. During our visit to First World Hotel, we stayed in Level 14 of Tower 2, with the room newly furnished with the upgraded XYZ Deluxe Room design. We were informed by the hotel that Tower 2’s rooms from Level 5 to Level 14 have also been incorporated with the new XYZ Deluxe Room designs (similar to the Tower 2A XYZ Deluxe Rooms). 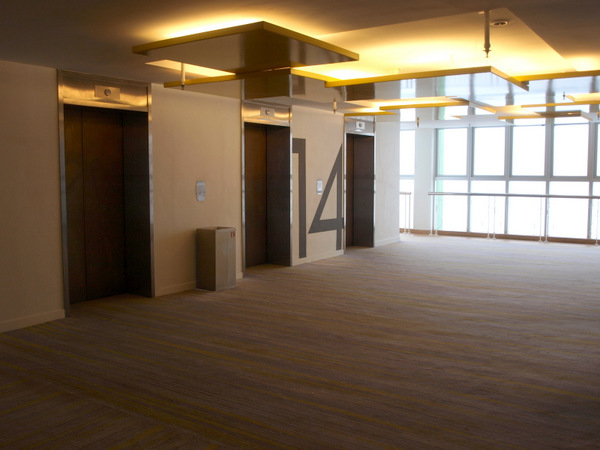 Upon our first step out of the lift doors, a contemporary setting greets you, with spacious carpeted walk-ways and multiple lifts to serve the large volumes of guests at the hotel. 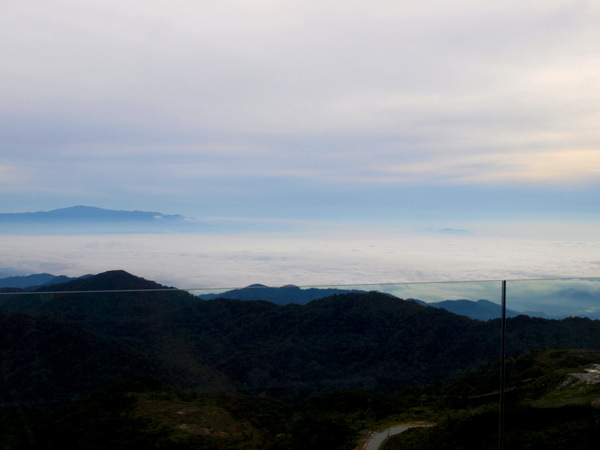 On a good non-foggy day, you can also view the beautiful Genting Highlands natural scenery from the lift landing area. Unlike other three-star and below hotels which generally operate on a lock-and-key hotel room door system, First World Hotel has installed automatic security key locks in Tower 2A, which offers an additional sense of security for guests. Each room was equipped with 2 surprisingly comfortable beds (or a double bed), cosy blankets and pillows- definitely a good plus point, given that the coach journey from Singapore to Genting took over 6 hours. 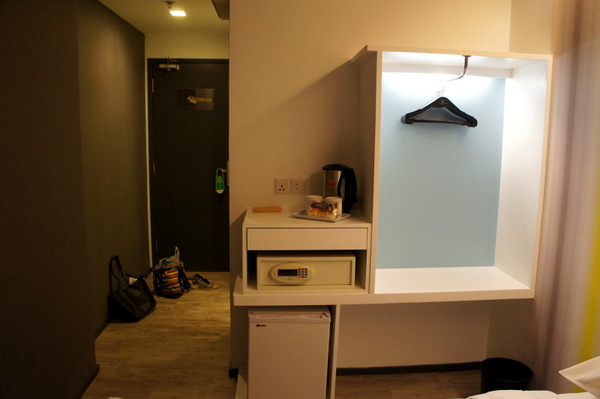 To cater to its wide-ranging guest profiles, First World Hotel has also refurbished its rooms with an international power socket and USB socket. Another feature we noticed was the prevalence of power sockets around the room, particularly helpful if you arrive to Genting with many electronic devices (e.g. camera, iPad, iPhone, MacBook, PSP, etc. ), allowing you to charge them simultaneously. Basic functional amenities are also offered in these rooms, including a kettle with the typical tea/coffee-making functions, telephone, mini fridge, safe, and a flat-screen television. An overhead fan is also provided- What? No air-conditioning? 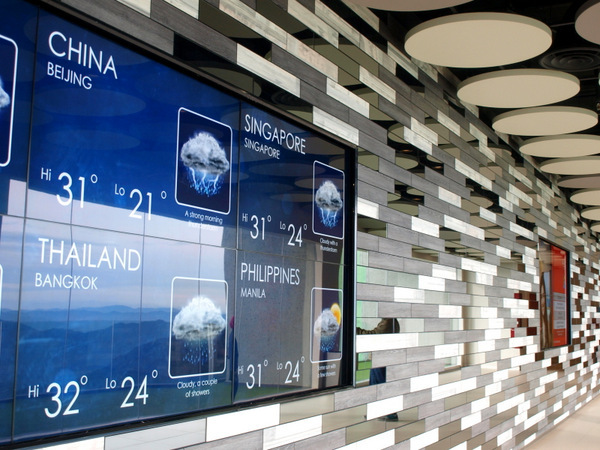 A typical Singaporean used to our sunny island’s humidity might complain- but do remember that it is actually chilly up in the hills, and the temperature does drop after dark. In fact, we often left the fan valve at the smallest fan speed possible. 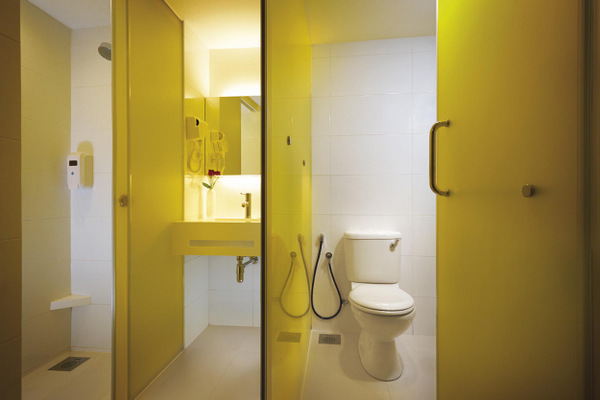 One unique new feature of the First World Hotel XYZ Rooms is the separated toilet facilities: One cubicle for showering, another for the toilet, and a sink area, providing convenience and efficiency for guests. Our only grouse was 3-in-1 soap/shampoo/conditioner that was provided in the shower area- It would have been awesome to have had a set of individual toiletries- but then again, this is a three-star hotel, and the relatively spacious shower area and hairdryer made up for this. Overall, we were generally impressed by the layout, amenities and design of the new XYZ Rooms and the Tower 2A lobby. 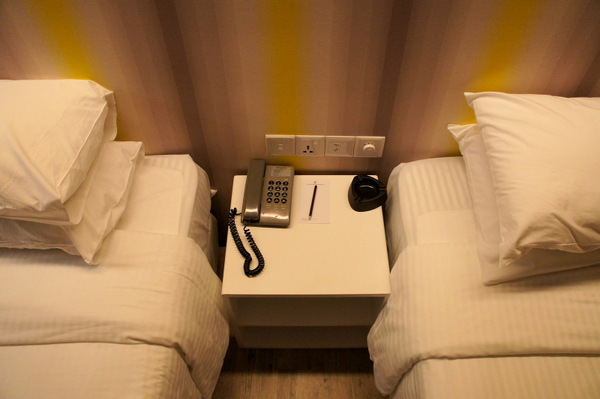 For a three-star hotel, the comfort and security provided is remarkable. 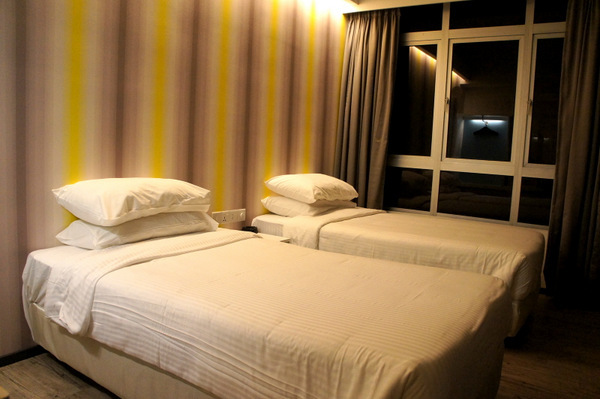 With affordable prices and convenience in its location to the Resorts World Genting attractions (just walking distance to the Arena of Stars and upcoming Sky Avenue Mall), the new Tower 2A hotel definitely ticks many checks on our list. If you’re extremely time-strapped (i.e. Help! I have only an hour to spare before I leave Genting! 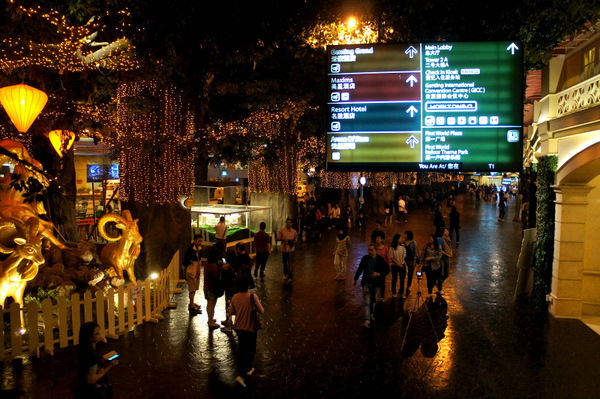 ), a quick wander just around the First World Hotel area might leave you feeling rather awed by the number of retail, dining and entertainment outlets available. 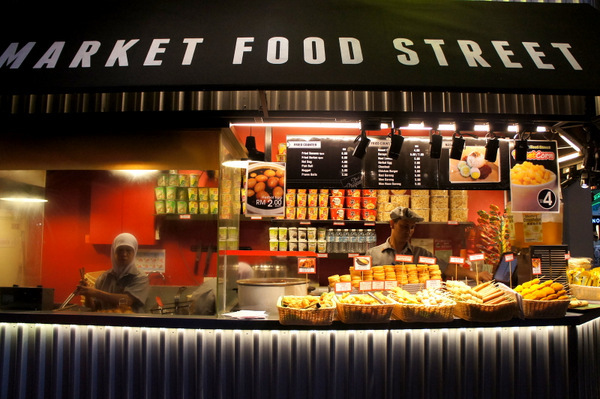 A quick bite to fill your stomach from various dining/snack options available. 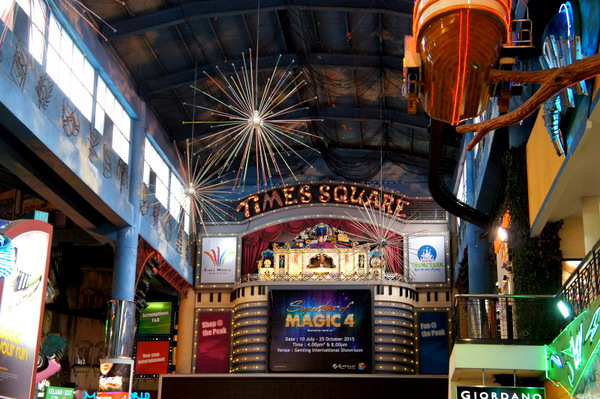 At regular time intervals, short magic shows are performed for passers-by and guests. Right outside the hotel lobby is a rather enchanting walkway with dimmed lights. 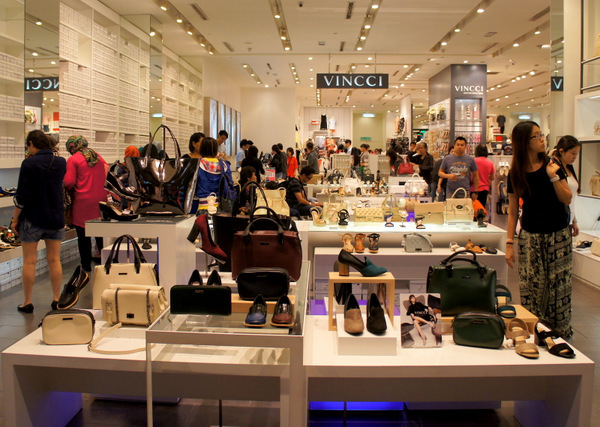 Indulge in some retail therapy at outlets like F.O.S., Vincci, Cotton On, Adidas and The Body Shop. Take in the magnificent view from above the clouds on a clear day. Relive some good childhood memories by taking the elevated ride around the area. 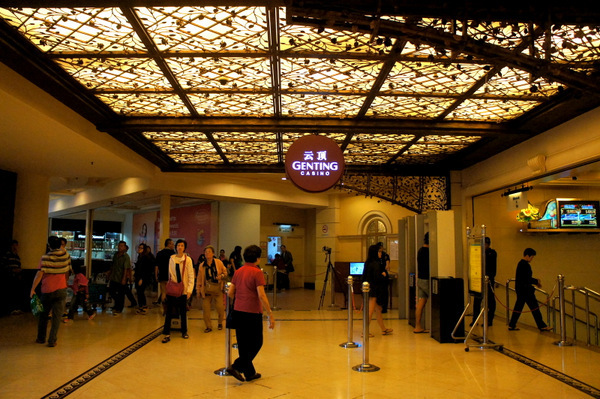 If you have more time on your hands in Genting, check out the next part of our review, which features the Behind-the-Scenes Tour and Superstars of Magic 4 Show, two new exciting highlights at the Resorts World Genting complex that you should definitely check out. Are the XYZ rooms only limited to those with windows facing each other? or are there XYZ rooms facing outside? The “outside” was facing the theme park or the mountains? Hi is your room in tower 3? which level did u stayed?